You will be knowledgeable about the myriad of patterns in fine couture. You will sound 40% smarter in regular conversation (conservative estimate). Below, I present a simple guide to the most popular fabric patterns! 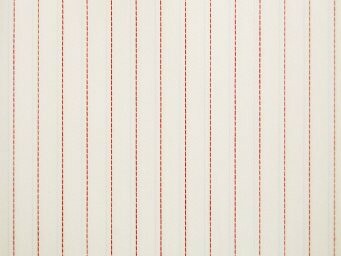 1) Pin Stripe: Simple enough – your everyday thin stripe.Variations include pencil and candy stripe, which are thick and thicker, respectively. Pin Stripe: Boring, yet effective. 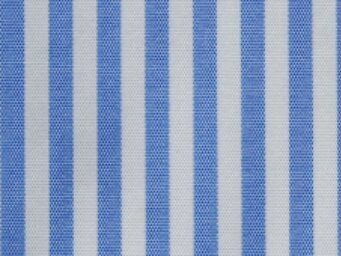 2) Bengal Stripe: Much thicker than a pin stripe – usually solid colored on a white background. 3) Windowpane Check: Reminds me of a checkerboard. 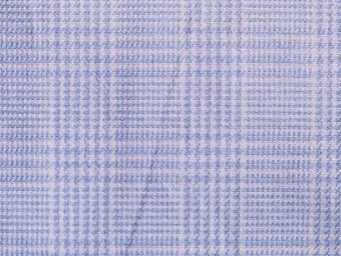 4) Glen Plaid: Alternating pattern of large and small checks – it’s pretty intricate, yet subtle, since it’s usually done in a muted color. 5) Houndstooth: The checks here are pointy shaped like a “hound’s tooth” (see what they did there?). It’s pretty easy to spot since it looks like small incisors. Most notably spotted on women’s coats and some scarves. 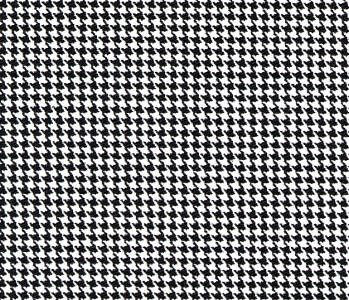 Houndstooth is usually done in black and white. 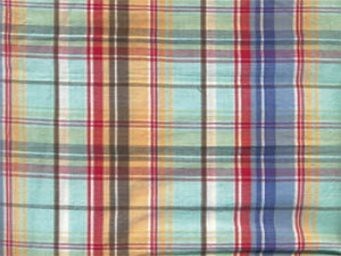 6) Madras: Originating in East India, this pattern is very bright and preppy. Not really my style, but can look good at horse races and Polo matches with a mint julep in hand. Madras is the epitome of "Preppy." 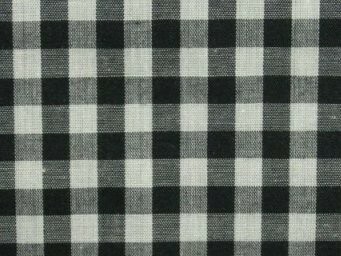 7) Gingham: A checkered, even sized pattern with horizontal and vertical stripes of the same color intersecting on a white background. It’s very geometrical, which pleases mathematical types such as myself. Comes in other colors such as blue, purple, and green. 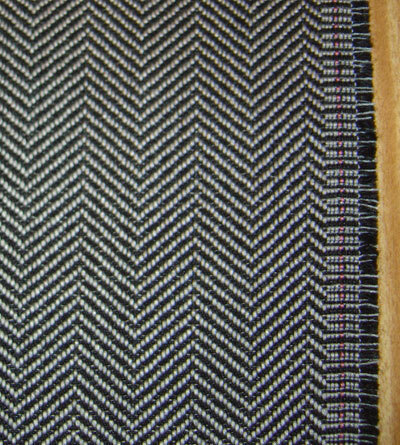 8 ) Herringbone: A personal favorite, this pattern is awesome, but still subtle. It looks great on scarves and ties! It’s distinctive feature is the “V” shape which is ubiquitous throughout the fabric. So those are 8 of the most popular patterns in menswear today! I will be following up this post in the near future detailing how to mix and match shirts and ties in different patterns in order to look really, ridiculously good-looking. So stay tuned! This entry was posted in Fashion, Manswers and tagged Bengal Stripe, Gingham, Glen Plaid, Herringbone, Houdstooth, Madras, Patterns, Pin Stripe, Windowpane. Bookmark the permalink. Beautiful! The herringbone is my fave also. What a pattern! 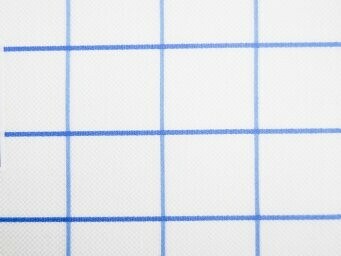 What’s your take on weaves, like pinpoint vs. broadcloth vs. poplin, etc? Is it worth caring about, or just minutiae? I’ve thought about that before, and it seems to be just minutiae to me. I suppose some types could look better in different types of situations…I’ll probably do some research in the future and see if it’s worth doing a post on it. What about the classic Southern SEERSUCKER?!?! That’s where it gets interesting, b/c isn’t seersucker technically a weave? It’s sort of thought of as a pattern because it’s always that same recognizable pattern 999 times out of 1000. But technically couldn’t you print arglye on seersucker… and it’d still be seersucker. MAY be splitting hairs; could be wrong.